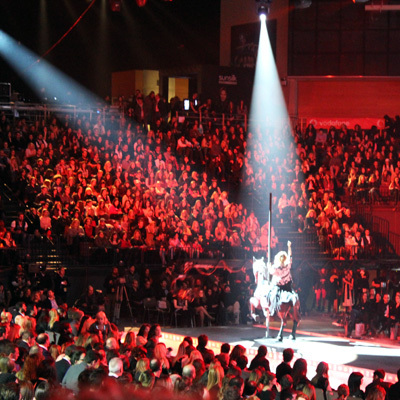 MadWalk 2012 took place last Wednesday and this time I was there. 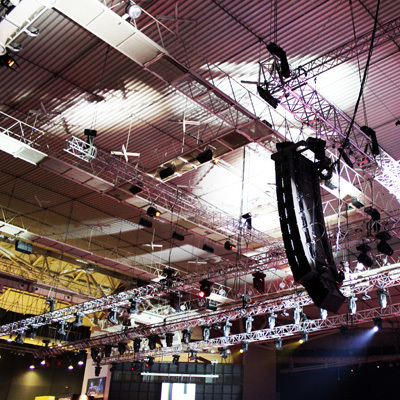 As you probably know, the event is a fusion of a music concert and a catwalk show, so the place was packed with teens trying to get a glimpse of their favourite artist as well as some fashion lovers hopelessly trying to actually see the clothes. As that was kinda impossible due to huge place and our seats being of the nosebleed kind, the pics I'll be posting here will be more about depicting the atmosphere and less about the couture. Intro of a model waving her hands but not actually walking the runway due to a case of impossibly huge dress. 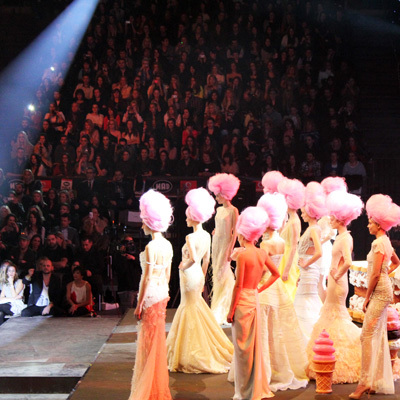 Pink cotton-candy hair and white/cream/beige dresses (cough - wedding season - cough) by Celia Kritharioti. My date for the night, Elena Pakou, who took the most amazing pictures for her post on Miss Bloom. 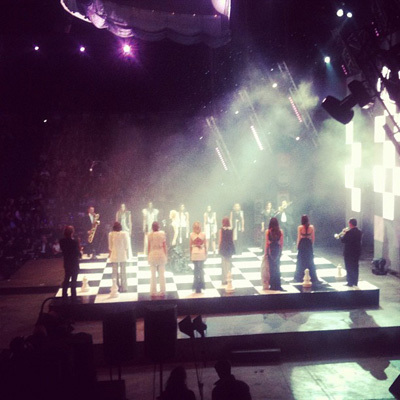 Alexander, I don't know if you can read us, but Cypriot designer Efi Papaioannou and Greek bouzoukia singer Natasa Theodoridou paid homage to your chess catwalk thingy. Ilia Darling riding the black horse. DElight SS2012 on the catwalk and DElight SS2011 on singer Leon. Those of you who need to see more, fret not. The show will be edited and aired on TV anytime soon. Teleies fwtografies. Makari na vriskomoun kai egw ekei!!!
" Alexander, I don't know if you can read us, but Cypriot designer Efi Papaioannou and Greek bouzoukia singer Natasa Theodoridou paid homage to your chess catwalk thingy." i look forward to watching kokosalaki's collection for asos. W.O.W!Your blog is amaging!pragmatika exw meinei a-f-o-n-i!einai fovero!bravo s!mou aresei para poli!